We haven't had a featured producer on here in a while, so I figured I would do a quick writeup of my own workflow during production. Hopefully, this will be helpful for new producers as well as more experienced producers who are trying to tackle this genre. Step 0 - Choose a DAW, and learn how to import, warp, and slow tracks. Learn how process audio with effects. Have you ever listened to a song and thought, "Damn, if that one part were just repeated 50 times, that would be better than the original song"? Well, working in a sample-based genre trains you to actively listen for those golden moments in the music you hear every day. This goes back to crate-digging turntablists who would search for the perfect break to sample. But now that we've got nearly infinite resources available for us to dig through digitally, you don't even have to leave your home to do your searching. Find a site that hosts obscure c/j/kpop, italo disco, funk, whatever it is that sounds good to you. And the thing is, you may not know what sounds good vaporized until you drop it into your DAW and slow it down by 25% or so. Just keep experimenting with everything, and you'll develop an ear. Listen to music throughout the day, and take note of the ones which would be best to sample. Segments that sound good on their own. Segments that sound good juxtaposed with other segments. Segments that sound good with a shifted frame. The last 2 take some searching to find, but trust me, this will make your tracks far more unique than if you were to simply slow down a track and call it a day. Step 2b - Consider other sources that would sound good with your original track. For example, dds.wmv ordinarily mashes up samples from 3 different sources. I don't typically do this for classic Vaporwave tracks because it's easy to screw up continuity and flow that way, but for more experimental Vaporwave, it's great. During Step 2, I like to pull out like 4-5 sections of a song that I'd love to hear repeated. I know that sounds like a lot, but you may decide to start removing sections at a later time once you hear what works together and what doesn't. There's a couple of ways to assemble your track's structure. You could drop the audio segments you chose in Step 2 into a sampler, and then start playing them out via a MIDI interface. Or, just copy those segments into a new audio track and start arranging them to sound good together. Just mute the original audio and start working at it. This part is really subjective, and I could talk at length about my own approach, but this is where personal taste comes in, and it's something you should develop on your own. Occasionally, I'll slow down the track to hear how it would sound, but ordinarily I do my arranging at the song's original tempo. This is mainly because I don't know how the track will turn out, and I may want to change/automate the tempo during certain portions. Do you want a long intro? How long? No intro? Fade ins/outs? You can begin to consolidate your chopped samples into larger "sections" that serve as verses and choruses if you want. Up to you. I can't really guide you in depth here. Basically, just listen to your track and experiment with chopping up sections even further to add musicality. Add risers or other sound effects to signify transitions. Or don't. Bump everything to an analog format like cassette or VHS if you really want authentic lo-fi sound. Either way, start playing around with audio processing at this point. I group audio channels that would receive similar processing, e.g. all the audio channels that would be filtered through the same reverb, EQ, etc. Iacon shows you how to do this in Ableton in his Audiosthetics tutorials. Mess with the pitch and tempo of your track. Remarkably, some Vaporwave artists don't even slow their tracks down considerably. t e l e p a t h テレパシー能力者 has quite a few tracks that are at, or close to, original tempo. They just "feel" slower because portions are downpitched. I'm a bit OCD when it comes to not just chopping up tracks and then claiming them as my own. The goal with Vaporwave moving forward is to create something original out of your sample source--think more Telnet Erotika and less Macintosh Plus. To be honest, if your goal in life is just to make another Mac+, just skip everything after Step 2 and you're golden. But that's scrub territory for Tumblr kiddies, and this is /r/makingvaporwave, so the goal here is to move beyond that. Add your own synths on the high end. This is particularly useful for occupying the high end of the frequency spectrum that's lost or muted when you downpitch your sample to a considerable degree. You don't have to use an insanely expensive softsynth with a million presets. Just learn a little bit about subtractive synthesis, and you can make your own in whatever onboard synth program your DAW hosts. Much of your synth's sound will be affected by downstream effects processing, anyway. Add your own percussion. You could sample one-hits from the track itself. Or you can download those Vengeance sample packs like every producer does, and then mess with those until you find the sounds you like. You can learn how to use sidechain compression linked to your kicks so that your kick drums punch through your mix. 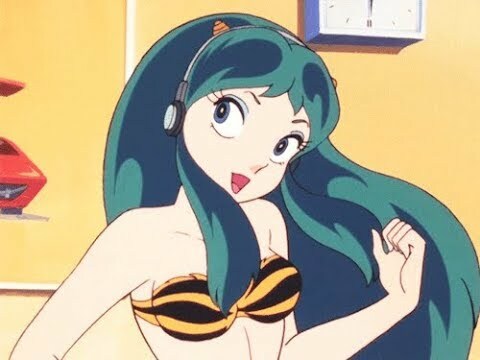 That's Future Funk 101, but maybe you're not interested in punchy kicks because you're making a slick, Luxury Elite or Waterfront Dining style tune. I mix as I go, just to get an idea of how the levels should sound. On playback, your peak volume should come out at near -6dBFS because the mastering process will boost audio levels to the point of clipping if you push it much higher. Allowing about 6dB of "headroom" is a rule of thumb. There are tons of non-vaporwave tutorials out there that go through this. Some people don't do this. I haven't been doing much mastering, because I tend to be busy, and I find the creative process much more interesting than downstream processing. Even HKE has said that he likes to upload unmastered tracks from time to time. But take a listen to anything by ℍUM♥ℕIGHTM♥RE, and you can hear just how solid a good master can make your tracks sound. There are extensive tutorials on this. You can definitely do a quick and easy master in Ableton using tweaks to a pre-made effects rack, or you can use a program like Izotope Ozone. Depending on your final format (mp3, cassette, vinyl, CD), you can determine the bit rate of the audio file you generate. There's a lot to this topic. In the coming weeks, /u/kparagraphic and I will be posting a link to some production resources in the sidebar, including some mixing and mastering tutorials. I glossed over a few (millions of) key points I'm sure others will fill in, but that's my general workflow. I didn't even cover resampling, but that's really key to my production process. I will add more detail upon request. Useful Plugins // Plugins add functionality to your DAW, such as synths, effects and other tools. Plugins are usually in VST or AU format, with RTAS (ProTools) and DXi being less common. TAL-USE + TAL-Filter2 TAL Freebies Page - USE stands for Ultra Simple EQ, which as the name implies is a very basic 3 band EQ, but sometimes that's all you'll need. TAL-Filter is more useful as a standard filter, but is unique in that the cutoff frequency is always being modulated according to the breakpoint editor on the panel. This makes it great for cyclic filter effects. Engineer&#039;s Filter - A very precise and technical filter / EQ tool that can handle incredibly steep cutoff slopes and other filter shapes that are very difficult to achieve on a standard EQ. TAL Chorus, TAL Flange, TAL Phaser etc TAL Freebies Page - TAL are IMO the best source for free plugins that both look and sound great. They have a great range of products that work on both Windows and Mac. Charlatan - Great basic subtractive synth, sounds as nice as it looks. Solid choice for leads and bass that cut through the mix. Dexed - Dexed is an emulation of the Yamaha DX7, which was an incredibly popular and revolutionary synthesiser in the 1980s. Obviously this makes it perfect for vaporwave production. OXE - Like dexed but more flexible in certain areas. Somewhat similar to FM8 in layout and concept. PG-8X - PG-8X is a software recreation of a Roland JX-8P analogue synth from the late 1980's. IMO it sounds better than virtually any other software synthesiser, and is somewhat CPU heavy, but absolutely perfect for rich and lush analogue type sounds similar to Vangelis or John Carpenter. TAL-Noisemaker - A very flexible subtractive synth with a decent amount of modulation options and effects. They aren't free, but I've found them to be well worth the cost.